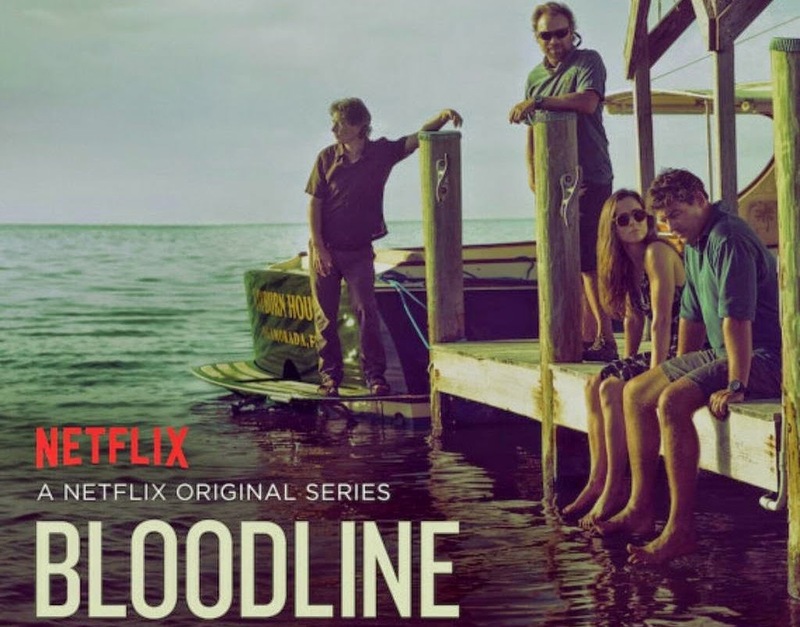 So, in the past few weeks, I watched Bloodline on Netflix. On the whole, I quite liked it. The story is compelling, the acting is exceptional, and it's filled with with a hazy, humid atmosphere that gives it a definitive sense of place and tone. That doesn't mean it isn't without problems. And one of those is one of Showing vs Telling. I'm going to try to be minimal with the spoilers, and I'll certainly avoid the big ones. But still, be aware. Bloodline is the story of the Rayburn family, who own a successful beachside hotel in the Florida Keys, and the trouble that arises when the eldest son, Danny, comes home to stay. Danny is the black sheep, having been away from their town for years, and is generally considered a shiftless loser. He is the stain on the Rayburn Family Name. And that family name is very important. Often we're told how important the Rayburns are in the community. We're told the family name means something in their community. "My family has connections with the city council" the youngest says at one point, indicating that he can help with any sort of zoning/bureaucratic problems with a real estate deal. "The name Rayburn means a lot to people," someone tells another member of the family as a reason why they should run for office. This idea is stated and reinforced multiple times. But nothing that we're shown in the show matches this idea at all. In fact, much of what we're shown runs counter to it. First of all, we're shown that the Rayburn family is singular, and doesn't have any sort of legacy. The father, Robert (Sam Shepherd), we're told, was an only child and severed almost all connection with his own parents at a young age. So the Rayburn name in the community starts with him. He and his wife Sally (Sissy Spacek) run the inn, and have for decades. The three adult children are a detective in the sheriff's office, a lawyer, and a boat mechanic. So, for all intents and purposes, the "Rayburn Family" consists of five people. There's no extended family, no network of cousins. None of them in a significant position of community influence or notoriety. None of the usual trappings of a powerful family. Even with the Inn being a great success-- and it clearly seems to be-- that isn't enough to build a "family name" in the way the show implies. Certainly not enough to add weight to a run for political office. As we're shown it, the Inn might bring wealth and success, but that doesn't immediately translate to influence, prestige, or community standing-- especially since everything about Robert's character shows him to be the kind of person who wouldn't cultivate that. And nothing that the three children do specifically cultivates that either. So where does the "Rayburn is an important name in this town" come from? It comes from the audience being told that, rather than shown it. Which comes to worldbuilding. Worldbuilding, of course, isn't just about the world of the story. It's about the characters' own histories, their path to where they currently are. And that includes their personal histories: what the parents, grandparents, and great-grandparents did. Foundational elements of where the characters come from. So if, in your story, you want to create an "important" family in a community, you have to think about how they got there, how that importance was built, and how those who wield that power maintain it. Let the truth of that come clearly through the story, so you don't have to just tell us that something is so because the story needs it be so.